Being one of the largest cities in Europe, it is ideal to explore with your car rental Munich Germany. Make sure to also drive out to surrounding areas and enjoy the scenic views of the countryside. 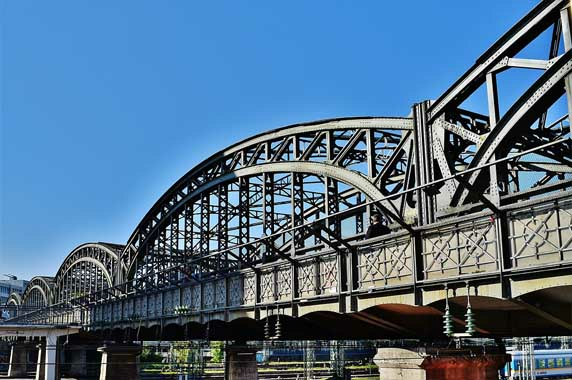 The German Autobahn and expressways are very well engineered and offer fast travel across the city if you plan on exploring outside city limits. It is illegal to drive while wearing headphones and mobile phone use should be with a "hands free" system. Seat-belts are required for all passengers. Children under the age of 12 years old should be in rear seats only and secured in appropriate car seats. Make sure to check our best rates for car rental Munich Germany. Where to pick up your car rental in Munich? CARSiRENT.com offers the following locations for you to pick up your Car Rental Munich Germany: - Munich (MUC) Airport - Munich City Downtown - Munich Central Train Station - Munich Laim Train Station - Munich Marienplatz - Munich Ostbahnhof - Munich Pasing Station 24H If you can't find your desired pick up location for your Car Rental Munich Germany, let us know and we will find you the perfect car there! What do you need for your Car Rental in Munich? The following documents are needed in order to pick up your car rental Munich Germany: - A valid driving license, you may need an International driving license - A valid credit card to be used for the security deposit - A valid passport Make sure to check the terms and conditions of the car when planning a car rental Munich Germany. 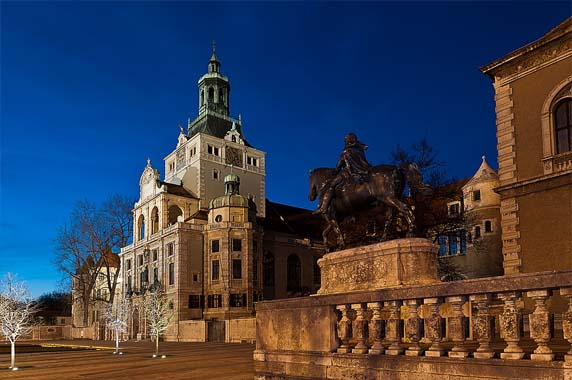 Here are some top experiences you should try exploring with your car rental in Munich to make the most of your time in the Bavarian capital. Go to the Olympiaturmand and take an elevator ride to the observation deck to see across the whole city. Catch a soccer game at the Allianz Arena. Visit the Bavaria Film Studios for a 90-minute guided tour. Give surfing a go or just watch the surfers on the Eisbach. Visit the BMW Welt and indulge your inner car & motorcycle geek. Müller’sches Volksbad is one of Munich's favorite bath houses for some spa pampering. What's better than ending your night at the Munich National Theatre for an opera experience. Start your journey now by searching for the best rates for car rental Munich Germany by entering your details in the search box above. Proximity to the Alps and higher altitude play a big role on the climate in Munich. More rain and snow may occur than other cities. During the summer months, the weather is usually quite pleasant with comfortable average temperatures. Most of the summer rainfall is in June and July with the occasional thunderstorm. The winters are quite cold with January being the coldest month. It can get windy during the spring and autumn seasons. 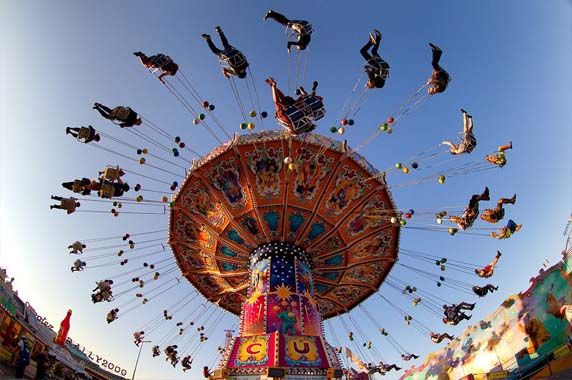 The best time to visit Munich runs from mid-May to mid-September, as it can be the mildest. While, July and August are the warmest months; it can get a little cooler when it’s raining. To avoid the weather hassle, make sure to have your own car rental in Munich, check out our best rates for car rental Munich Germany. What to eat in Munich? The city is loaded with Bavarian and traditional dishes of Germany to experience while driving around with your car rental in Munich. Make sure to have some pretzels with sausage. The Apfelstrudel is probably the most beloved traditional dessert in Germany, a crispy ultra-thin layer of dough filled with apple mousse or crispy apple chunks. The Sauerkraut is a pickled cabbage that is usually served as a side dish or salad. The Germknödel with vanilla sauce is a steamed yeast dumpling filled with plum sauce. The Maultaschen which is referred to as Swabian ravioli is served as an appetizer or a main, filled with minced meat, sauerkraut, and spinach. Moving between these restaurant is easier when you have your own car rental in Munich. Start searching now for your best car rental Munich Germany from the search box above. What to do in Munich? 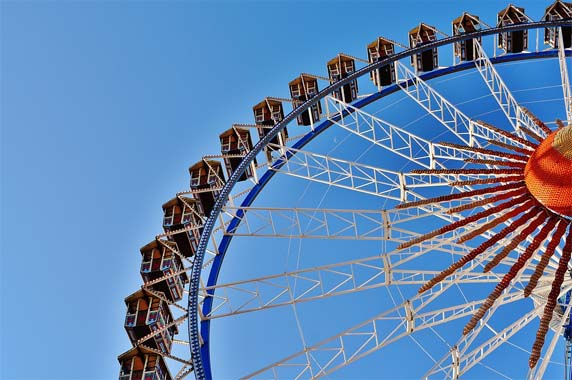 Aside from Oktoberfest, with your car rental in Munich, there is so much to explore. Here are some of the top things to see and experience: - Munich's Magnificent Residenz - Frauenkirche: The Cathedral Church of Our Lady - Marienplatz - The New Town Hall - Asam Church - The English Garden - St. Peter's Church - Cuvilliés Theater - Burial Place of the Kings: St. Michael's Church - National Theater Munich and the Bavarian State Opera - The Theatine Church of St. Cajetan - Hellabrunn Zoo - Nymphenburg Palace - Königsplatz and the Kunstareal District - The Bavaria Statue and the Hall of Fame Moving around the beautiful city is easier when you have your own car rental in Munich, make sure to check out our best rates for car rental Munich Germany. Where to Road Trip from Munich? 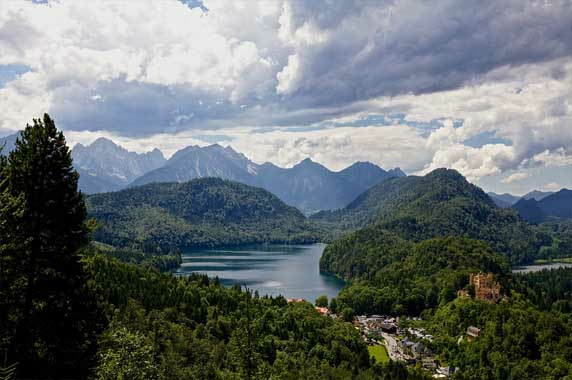 While there are many interesting things to see in the city itself, with a car rental in Munich, you can easily hop on the Autobahn and expressways to explore some of Bavaria’s most famous historical sites. A lot of these locations may be visited by train from Munch, but you miss out on the gorgeous views of the countryside which is bound to make your trip unforgettable: - Neuschwanstein Castle - Salzburg - Rothenburg - Berchtesgaden - Nuernberg - Bamberg - Innsbruck - Dachau Concentration Camp - Landshut - Würzburg - Regensburg - Zugspitze Peak - Herrenchiemsee New Palace - Hohenzollern Castle - Linderhof Palace Road trips are better with us. Get your own car hire in Munich. Best rates for car rental Munich Germany from our website.